The number of environmental laws worldwide has increased 38-fold since 1972, according to a UN report released Thursday. In China, a pioneering nonprofit is trying to hold government accountable to its wildlife protection laws, including saving pangolins. WASHINGTON — When Chinese police found them in the trunk of a smuggler's car, 33 of the trafficked pangolins — endangered scaly mammals from southern China — were still alive, wrapped in plastic bags soaked with their own urine. A pioneering environmental nonprofit in Beijing has launched an investigation, called "counting pangolins," to figure out what happens to such animals recovered from the illegal wildlife trade. Its findings so far highlight discrepancies between environmental laws and outcomes. "The law doesn't self-execute," said Carl Bruch, a study co-author and director of international programs at the Environmental Law Institute in Washington, D.C.
Each of the 33 pangolins transferred to the care of a government-run wildlife rescue center in China's Guangxi province died within three months — according to records obtained by the nonprofit China Biodiversity Conservation and Green Development Foundation and shown to the Associated Press. What's still unclear is what happened to their bodies. 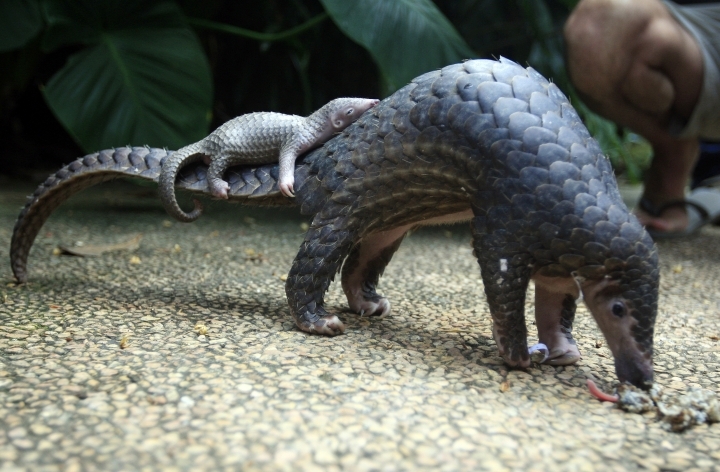 Pangolins are insect-eating, scaly mammals — playfully described by the International Union for Conservation of Nature as "resembling an artichoke with legs and a tail." Their scales — made of keratin, the same material in human finger nails — are in high demand for Chinese traditional medicine, to purportedly cure arthritis, promote breast-feeding for mothers, and boost male virility, although there is no scientific backing for these beliefs. "It's significant that China has adopted laws against trade in many endangered species, but the law itself isn't enough to protect a species from extinction," said Jinfeng Zhou, director of the China Biodiversity Conservation and Green Development Foundation. "We are determined to know what happens to the pangolins," said Sophia Zhang, a researcher at the biodiversity group. After reading news reports about the August 2017 poaching bust, she filed information requests to government agencies and traveled to Guangxi to visit the wildlife rescue center. The Guangxi Forestry Department, which manages the wildlife rescue center, declined AP's requests for an interview and comment. 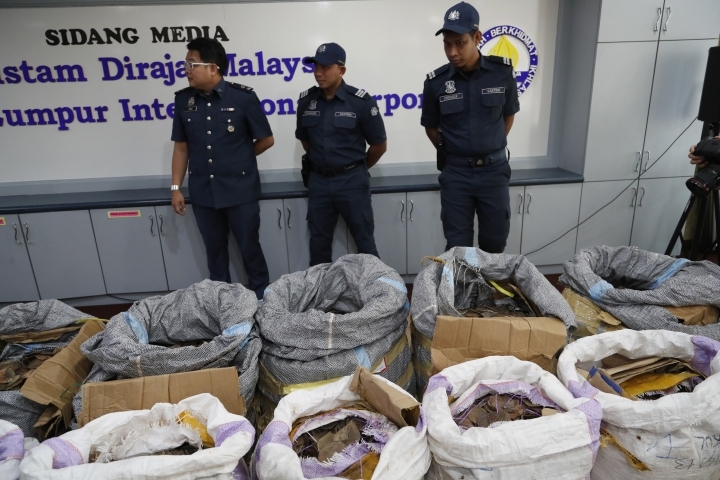 China's state-run news service Xinhua reported in December 2018 that China remains committed to stopping pangolin trafficking, noting there were 209 pangolin smuggling busts from 2007 to 2016. In Guangxi, Zhang saw that pangolins were kept in small cages and fed cat food at the wildlife center, whereas wild pangolins eat termites. She said she had tried to coordinate with Save Vietnam's Wildlife, a nonprofit, to bring shipments of termites to feed the pangolins, but the center declined the offer. After the animals died, the center wouldn't reveal what happened to their scaly bodies. But in other instances, the same center has turned over live pangolins to industry groups — including a steel factory in Guangdong province and a farm associated with a Chinese traditional medicine center in Jiangxi province. The government released this information on its web site. "We want the wildlife center to provide a full explanation," Zhang said. 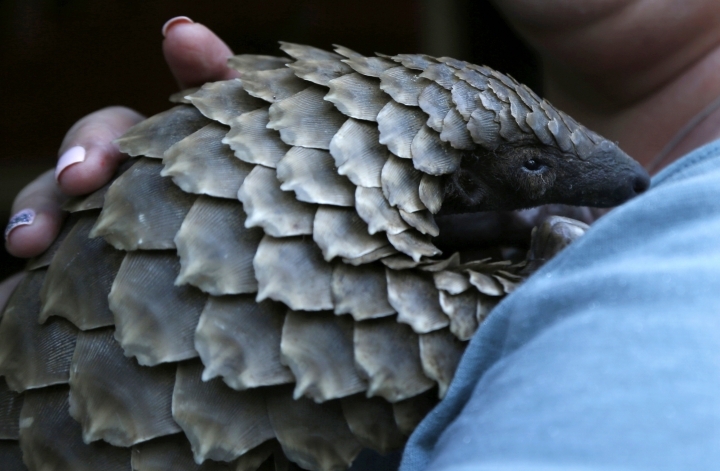 "We know the trade in pangolins is very lucrative. The public should be able to know what happens." "China has a rather complete set of environmental laws," said Barbara Finamore, the senior strategic director for Asia at the Natural Resources Defense Council in Washington, DC. "But environmental laws are not worth the paper they're written on unless there's also strong enforcement and oversight." Countries large and small, rich and poor, have passed extensive green legislation since the Rio Earth Summit in 1992. "The world has made incredible progress in adopting environmental laws and environmental impact assessments, in creating environmental ministries and agencies," said Bruch, co-author of the U.N. report. "The legal framework is there in an enormous number of countries," said Deborah Seligsohn, a political scientist focusing on environmental policy at Villanova University. "But once you have all these laws, you need trained and willing personnel to actually enforce them. You need boots on the ground." Green mandates often go unfunded, said Barney Long, director of species conservation at Global Wildlife Conservation, a nonprofit group in Austin, Texas. "Many countries have laws stating the minimum number of park rangers that should be patrolling per square mile in national parks and protected areas. But these aren't implemented if sufficient money isn't appropriated." China is gradually releasing more environmental data to the public, especially on air pollution, even as the government clamps down on other forms of information. And more officials are being held accountable, said Jennifer Turner, director of the Woodrow Wilson Center's China Environment Forum in Washington, D.C. "Before local officials were only evaluated on economic performance — but now it's harder to hide from environmental sins."